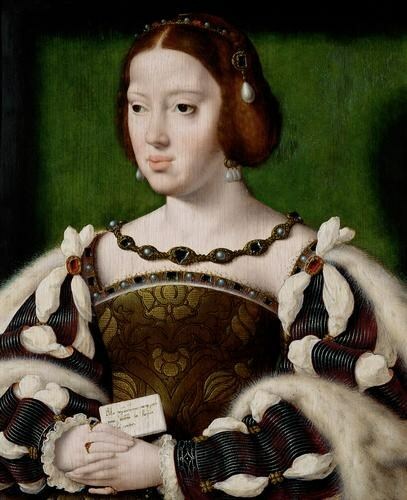 Under Francis I's patronage, Italian artists brought the Renaissance to France. 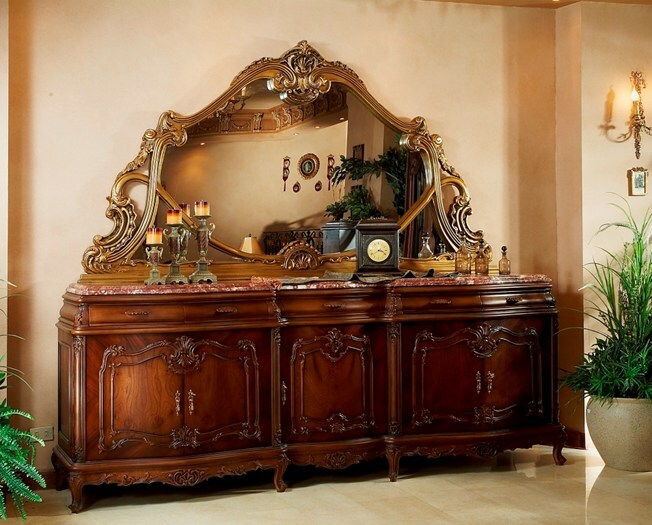 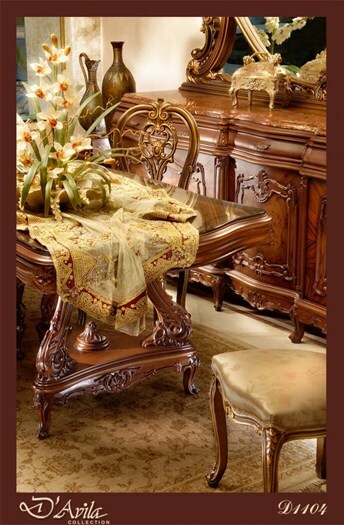 Furniture was mainly made out of wood, often walnut or willow and was usually rich in style, with many inlays of ivory, gold, stone, marble or other precious elements, and often were decorated with marquetry. 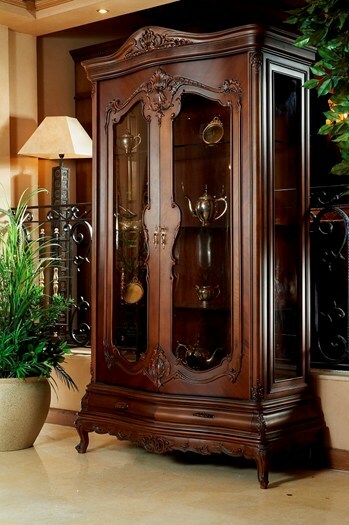 The elegant leaves carving deliver the dining room a stunning and functional presence, reflecting classic style with tremendous Vitrine with two glassdoors. 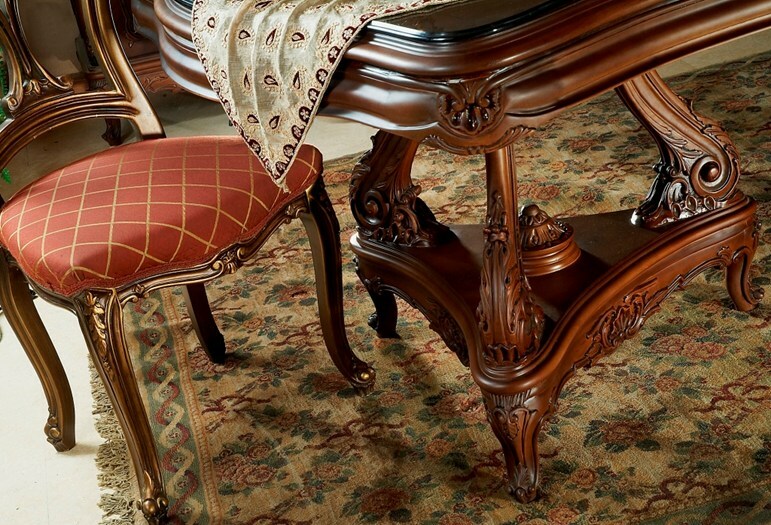 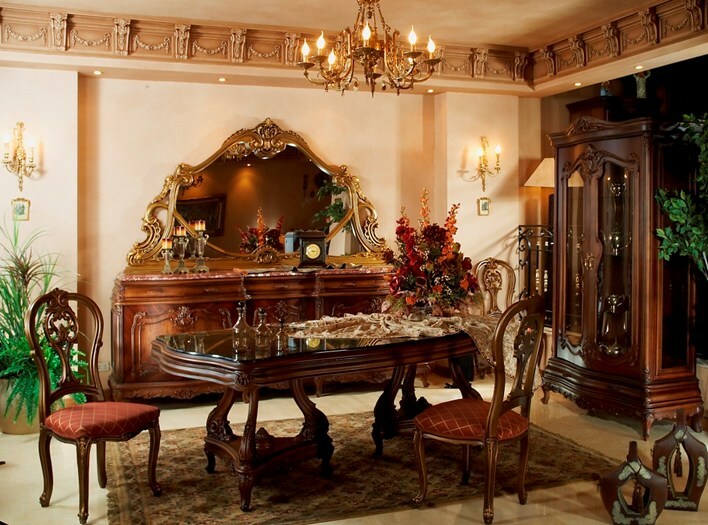 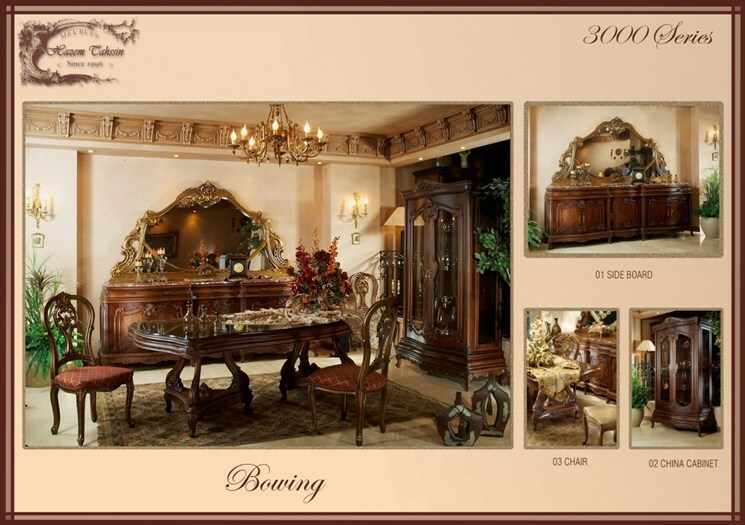 The rich solid wood dinning boasts a golden decorative framing for unexpected appeal.Constructed from beechwood, brown ronj with root wood veneer finish.Handcrafted in Egypt.